Well, this is my 1st video. I hope u like it…is about olympic games and how is changing through the years. The sport of track and field has its roots in human prehistory. Track and field-style events are among the oldest of all sporting competitions, as running, jumping and throwing are natural and universal forms of human physical expression. The first recorded examples of organized track and field events at a sports festival are the Ancient Olympic Games. 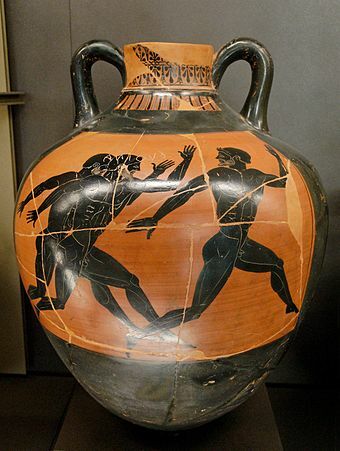 At the first Games in 776 BC in Olympia, Greece, only one event was contested: the stadium footrace. The scope of the Games expanded in later years to include further running competitions, but the introduction of the Ancient Olympic pentathlon marked a step towards track and field as it is recognized today it comprised a five-event competition of the long jump, javelin throw, discus throw, the stadium foot race, and wrestling. An early model of hurdling at the Detroit Athletic Club in 1888. 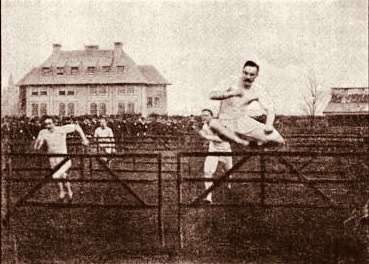 Discrete modern track and field competitions, separate from general sporting festivals, were first recorded in the late 19th century. These were typically organized by educational institutions,military organizations and sports clubs as competitions between rival establishments. Competitive hurdling first came into being around this point, with the advent of the steeplechase in England around 1850. The Amateur Athletic Association was established in England in 1880 as the first national body for the sport of athletics and, under this grouping, track and field became the focus of the annual Championships. The United States also began holding an annual national competition the USA Outdoor Track and Field Championships first held in 1876 by the New York Athletic Club. Following the establishment of general sports governing bodies for the United States (the Amateur Athletic Union in 1888) and France (the Union des societies franaises de sports athl©tiques in 1889), track and field events began to be promoted and codified. The establishment of the modern Olympic Games at the end of the 19th century marked a new high for track and field. The Olympic athletics programmed, comprising track and field events plus amarathon race, contained many of the foremost sporting competitions of the 1896 Summer Olympics. The Olympics also consolidated the use of metric measurements in international track and field events, both for race distances and for measuring jumps and throws. The Olympic athletics program greatly expanded over the next decades, and track and field contests remained among the Games’ most prominent. The Olympics was the elite competition for track and field, and only amateur sportsmen could compete. 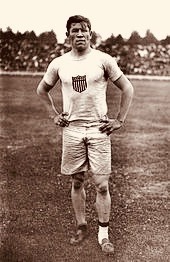 Track and field would continue to be a largely amateur sport, as this rule was strictly enforced: Jim Thorpe was stripped of his track and field medals from the 1912 Olympicsafter it was revealed that he had played baseball professionally. That same year, the International Amateur Athletic Federation (IAAF) was established, becoming the international governing body for track and field, and it enshrined amateurism as one of its founding principles for the sport. The National Collegiate Athletic Association held their first Men’s Outdoor Track and Field Championship in 1921, making it one of the most prestigious competitions for students, and this was soon followed by the introduction of track and field at the inaugural World Student Games in 1923. The first continental track and field competition was the 1919 South American Championships, which was followed by the European Athletics Championships in 1934. Up until the early 1920s, track and field had been almost exclusively a male-only pursuit. TheÂ women’s sports movement led to the introduction of five track and field events for women in the athletics at the 1928 Summer Olympics and more women’s events were gradually introduced as years progressed (although it was only towards the end of the century that the men’s and women’s programmed approached parity of events). Furthermore, major track and field competitions fordisabled athletes were first introduced at the 1960 Summer Paralympics. A person running outdoors on a sunny day. Only the feet are visible. The person is wearing black running shoes. If you’re a complete novice (i.e. with little or no recent running experience), ideally you need allow a good 6 months to slowly build up your mileage. 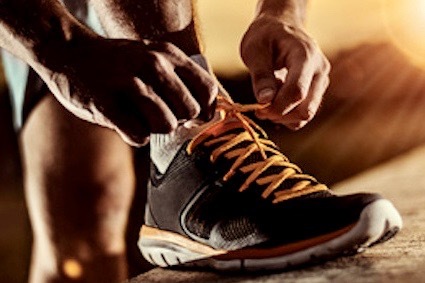 The Intermediate and Advanced programs are shorter but assume you have a solid running base to begin with.